Historically, the settlers and hunters of Utah didn’t find moose when they were exploring the state. It wasn’t’ until 1906-07 when the first recorded moose sighting occurred in Utah. Ironically, at this same time the population of Shiras moose also known as Wyoming moose (the subspecies found in Utah today) was dangerously close to extinction due to overhunting. Settlers in nearby states had preferred hunting moose because the large animal was easy to catch, and was an efficient way to obtain a few hundred pounds of sweet venison. To prevent their extinction, western states discontinued moose hunting for a time. Until 1950, hunters agreed to hunt other deer species to provide time for the moose population to replenish. Searching for moose became a challenging spectators sport. Moose are active during the day and loners most of the year (except mothers with their young) and since they prefer habitat where they can easily hide – finding one was a rare occasion. By 1957, Utah’s moose had a resident herd in the Uinta mountains and the population continued to grow. 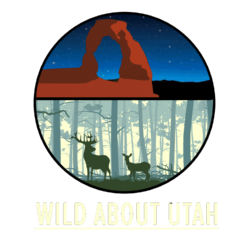 To do this, the researchers collared 120 female adult moose in two established herds – 60 in the Wasatch Mountains and another 60 in the North Slope of the Uinta Range. Female moose are the best indicators of the health of the herd. The females provide the data to determine the health of both the adults and calves. By tracking them, the research team can see the number of females that calve, the number of calves who survive their first winter to join the population, and the survival rate of the adults during the four-year project. Joel S. Ruprecht, USU graduate student in MacNulty’s lab discovered one reason this may be occurring. 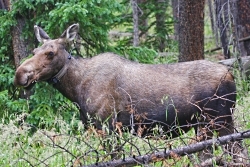 He found the maternal fat stores of the female directly impact the reproductive and survival success in Shiras moose. When midwinter fat stores of the expecting moose were measured Ruprecht found it predicted whether the female moose would successfully give birth to her young and also whether her young would live long enough to become a healthy long-term member of the herd. 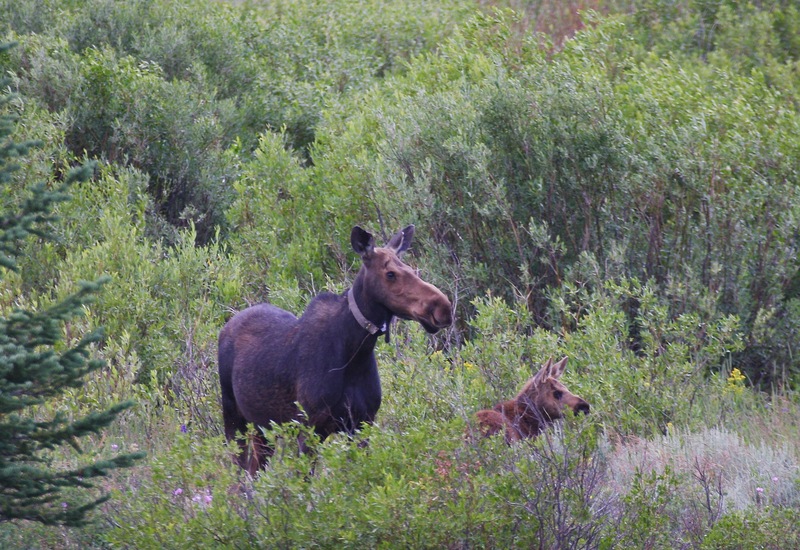 If a solution for the population drop could be to increase nutrition levels of the mothers, then DWR may be able to improve habitat conditions for adult moose and increase their health, which would in turn increase calving rates. 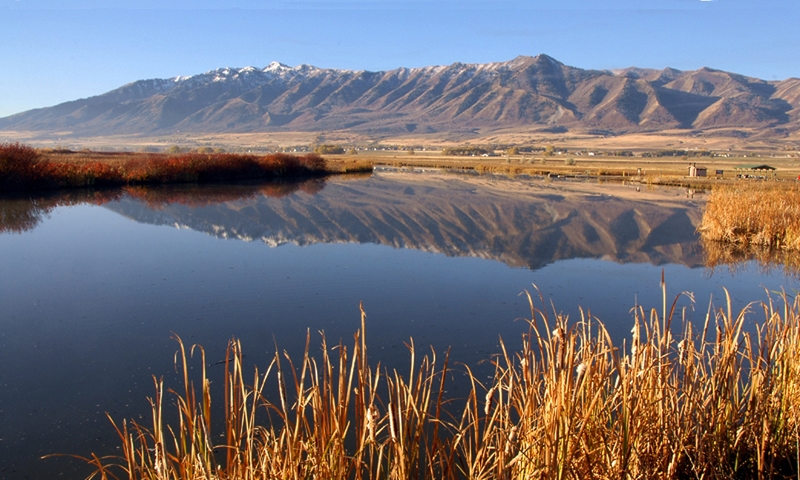 DWR plans to use these research findings to help stabilize Utah’s moose population. The results may have come at an ideal time since the state’s 7-year Statewide Moose Management Plan expires later this year. Photos: All photos copyright and courtesy of Sam Robinson.